If you've just started running paid ads, or if even if you've been doing it for a while, there are always improvements that can be made: more keywords to target, bids to be changed, landing pages to be optimized. To help you get a fresh start on your account this spring, I've put together the most frequent recommendations I give during paid search audits. We pair this with our Structure & Settings section, but really it could be an entire section all on its own because it's so important. Here’s where to find your campaign split out by geographic location. Let’s pretend this is your account. You are spending quite a bit of money in California, Florida, and Illinois. a. You can restrict your advertising from these areas to save the money if you aren’t seeing strong returns within 30 days or even through analytics. 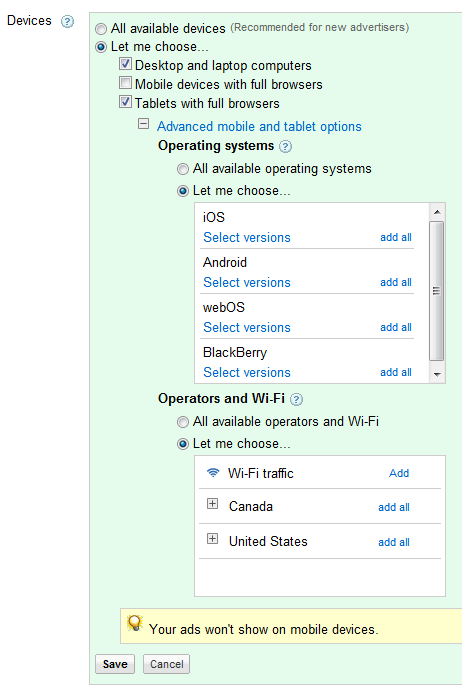 Enabling all possible ad extensions: Phone number, site links, products, G+, location, and even a mobile app ad extension. These are some of the things that make your ad stand out. Do you not have a product feed or mobile app? No problem. There’s still no reason to not use the other 3. Opinion: Thirty or more Google maps reviews per location add ratings for non-eCommerce businesses. No one in paid search discusses brick & mortar star ratings (as far as I’m aware). I've seen some adverts with seller ratings extensions, and when I click on the stars they take me to the Places page with reviews. Just one more reason to pimp out your Google Places account and link it up with AdWords. This is where your mailing list and followers on Facebook and Twitter come in handy! One adgroup should contain one search intent so the advert is as closely targeted as possible. If you have 300 keywords and 25 adgroups, we recommend you separate your keywords by similar intent then expand your keyword list, segment by device and location, and label your adgroups and campaigns so you can easily filter data. This will help you quickly and easily review how different parts of the account are working. With the latest update from Google being 30 day max rotation, A/B testing for the long tail/low impression keywords is probably going to be on the out. However, if you’ve been paying attention to your ads, you’ll see that Google has been favoring certain ads anyway when the setting ‘rotate’ was selected. After you’ve created new ads for your adgroups, the least time consuming way to change over your rotation settings are to select ALL campaigns and go to the Settings tab. If you’ve already done A/B testing and you have selected the best ads by statistical significance and you are seeing more than 15 conversions in 30 days, you should select ‘Optimize for conversions’ as Google will help you target people who are actually going to convert. If you don’t know what it is, you could be suffering from low Click Through Rates (CTRs), higher Cost Per Click (CPCs), decreased time on site, and wasted opportunity. The search query report shows you the true search queries that are matched to your keywords. Broad and modified broad types throw the widest net (not always the best idea); phrase match connects your phrase “white boats” to “buy white boats” “white boat shoes for men” and many more; exact match pairs your ad with anyone who only searches for [white boats]. The modified broad match and search query report are now available in AdCenter as well. Make good use of them. a. Make better adgroups. I’ve seen keywords go from 6s to 10s when they were pulled out and regrouped with more closely associated terms. If you could increase QS just by restructuring, you need to do it. b. You’re paying several times more than people who have higher QSs. People aren’t beating you because they are paying more, they are beating you because they have more relevant keyword groupings, ads, and landing pages (even though Google says landing pages don’t make or break QSs). c. Your ads aren’t showing the way you think they are. Even if you’ve enabled all extensions, you are probably showing without them more frequently than not. Google won’t reward you if they think you aren’t good for [their] business, and CTR is the way they determine how amazing you are. d. Pause any low CTR ads. If you take a massive traffic hit after pausing or deleting these low quality keywords, we would prefer you use broad match with higher QS keywords to supplement your traffic. It is now well known that we don’t mix display and search into one campaign. However, we always need to be cautious about the search partners network. To see your campaign data by network, go to the Segment dropdown and select Network (with search partners). This campaign shows exactly why we recommend eliminating the search partners. a. CPA is much higher than that of just Google Search. 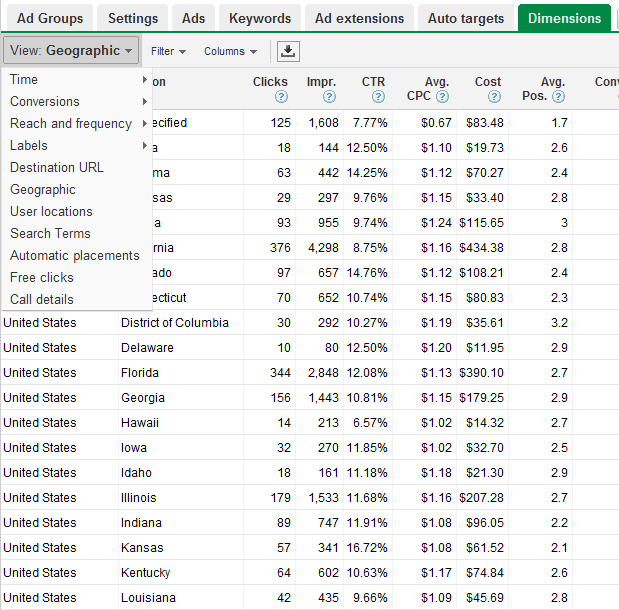 If the CPA was lower, we would have kept the search partners network because it does not affect keyword quality score. b. Google search network is more rewarding by $10+/conversion. 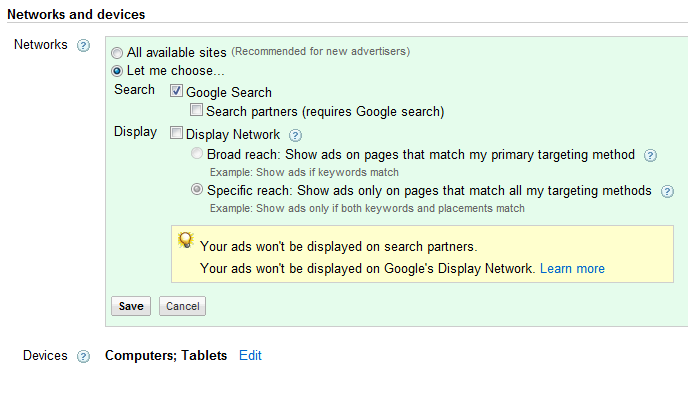 If you aren't getting strong data from the search partners, go to the settings tab for that campaign and disable your ads from showing there. Remember to hit Save before leaving this page. This recommendation is very similar to the Network and Geotargeting advice we’ve already gone over. If you either decide (based on data) that you should be targeting devices individually, go to the campaign settings to make your changes. If you know your website is not mobile or tablet friendly (graphic heavy, small text, gray text & gray background, requires serious attention, etc), then create a duplicate campaign only targeted at tablet and mobile traffic, choose Wi-Fi traffic, and your time on site will probably increase substantially. If you are already low on budget and have high CPCs, you should stop advertising on devices that aren’t providing comparable, strong return. Segmenting by Device and Network is always a necessity, but don't forget about the other ways to segment. Back in August I wrote about Top v Side, which is a great segment that allows you to bid more effectively. If you aren't already familiar with all the available segments, you should spend some time reviewing them! If you think your paid search account is so good it can’t be improved, you should start expanding to AdCenter, LinkedIn, Twitter, and Facebook. Distilled can help you with your paid search agenda. If you aren't too sure about your account, we offer paid search audits to businesses looking to switch from their current agency or find their first agency. Our audits provide an in depth analysis of your AdWords and AdCenter accounts. We’ve recently started providing feedback on paid video ads as YouTube Advertising has recently been transferred to the AdWords interface. If you would like to have our team review your paid search accounts (LinkedIn, Facebook, AdWords, Paid Video, or AdCenter), contact our sales team with your monthly spend, your current goals, and what you want to accomplish with your advertising (We like to think big. We'll help you with your global conquest to the top! ).